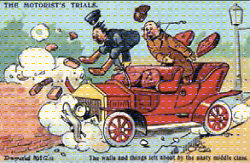 The following would appear to be a separate set - probably not by "F S"
[Not listed as F S] E.L.P.Co. 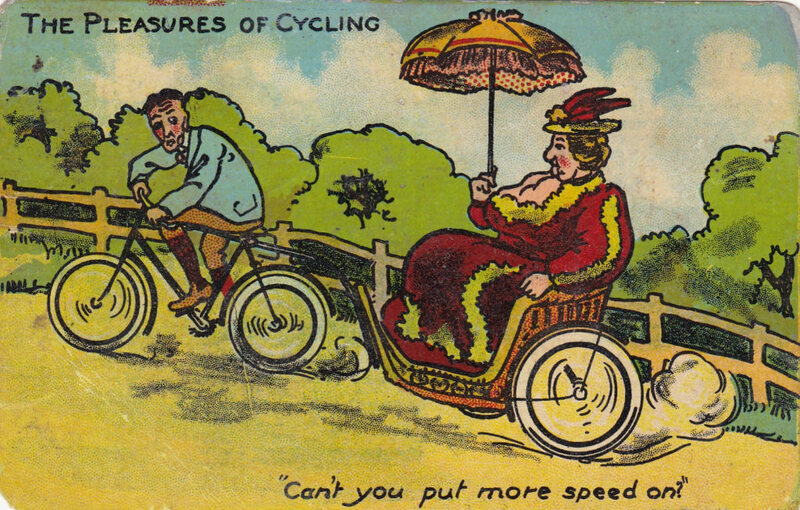 Can't you put more speed on? 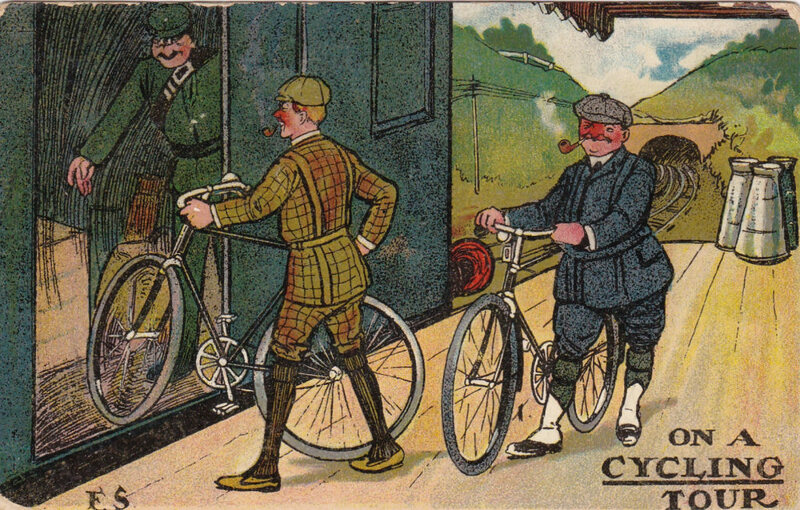 As one version of "The Pleasure of Cycling" was by "F S" set it was worth considering whether he was also responsible for these sets. 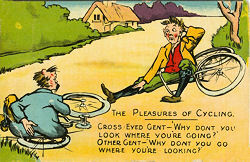 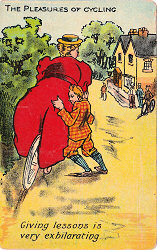 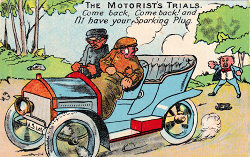 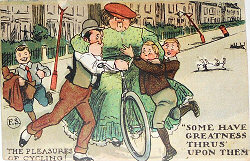 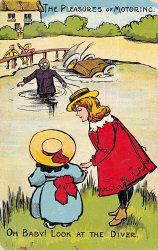 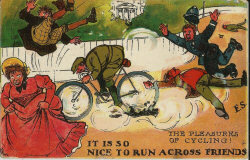 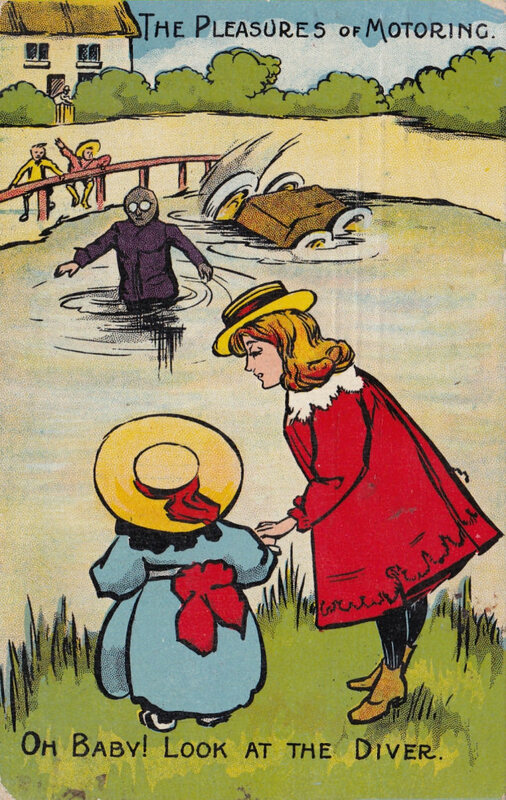 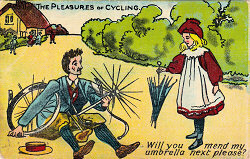 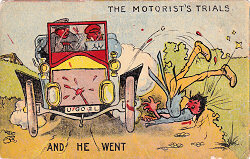 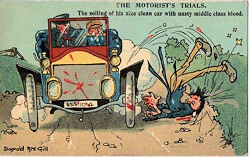 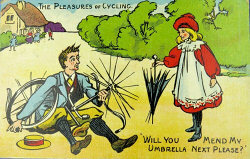 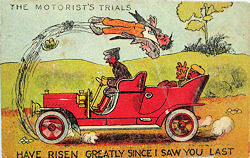 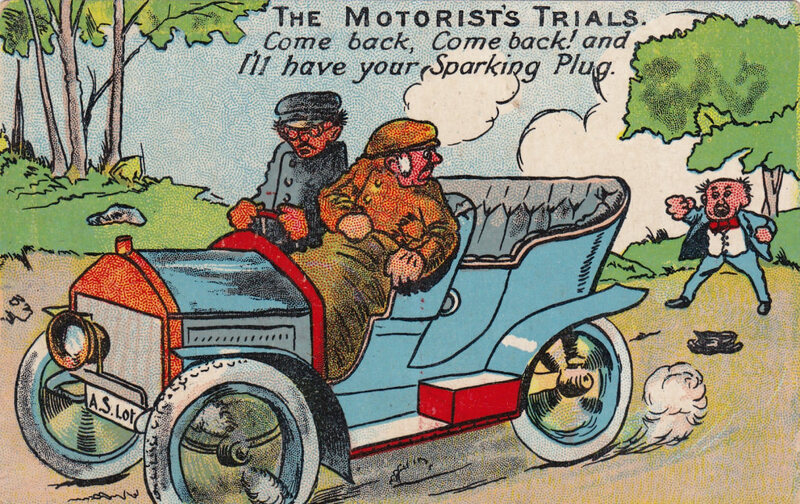 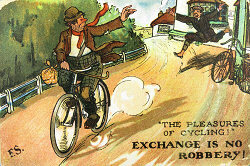 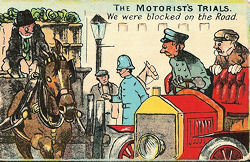 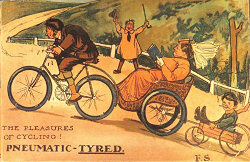 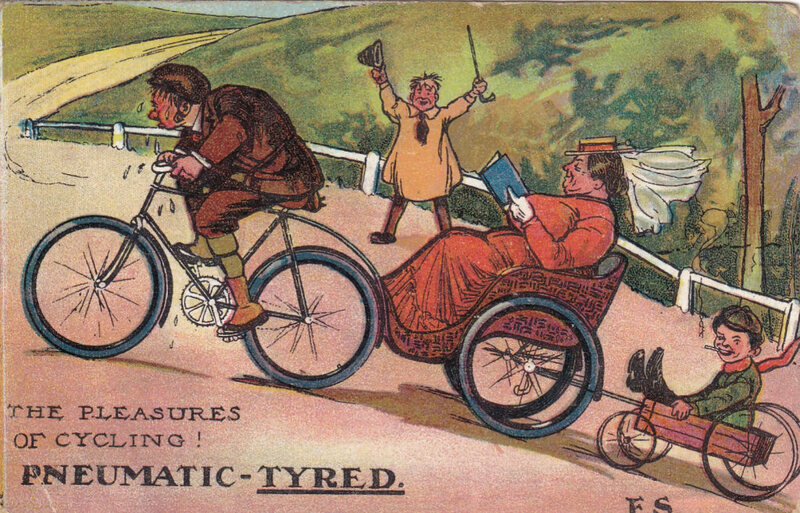 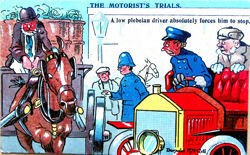 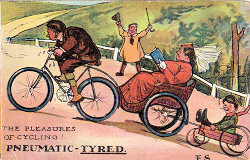 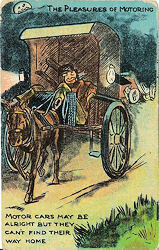 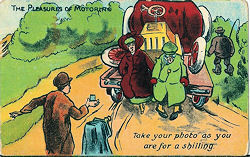 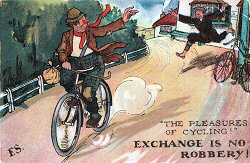 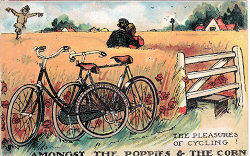 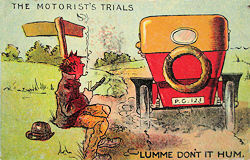 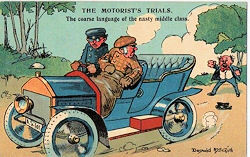 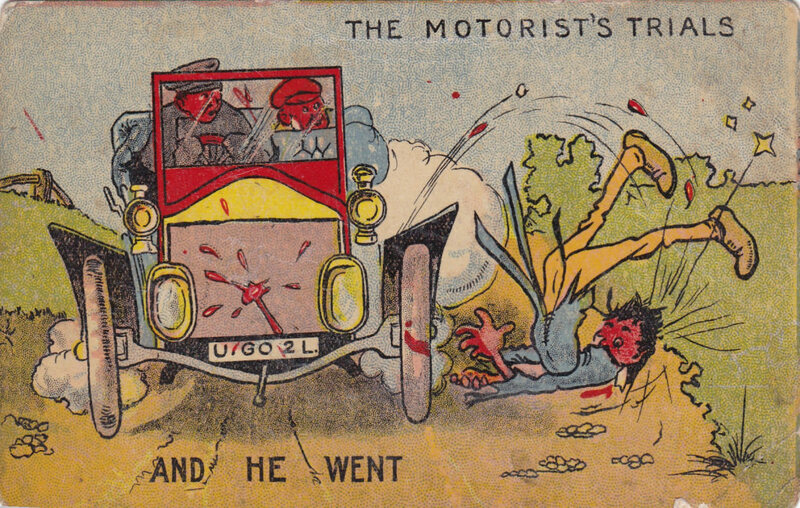 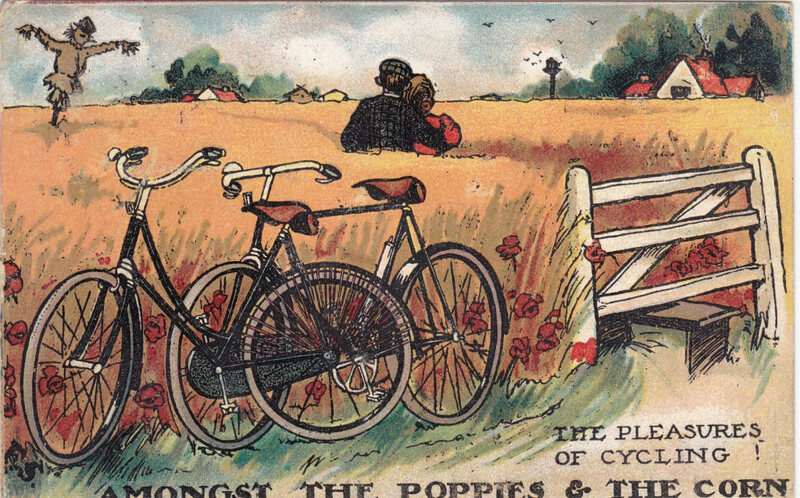 These "The Pleasure of Motoring" cards are probably by the same hand as the unsigned "The Pleasure of Cycling" cards and are probably not by "F S."
The "Motorist's Trials" cards - on investigation - turn out to be early Donald McGill cards which were later republished by the East London Publishing Co. with less aggressive wording. 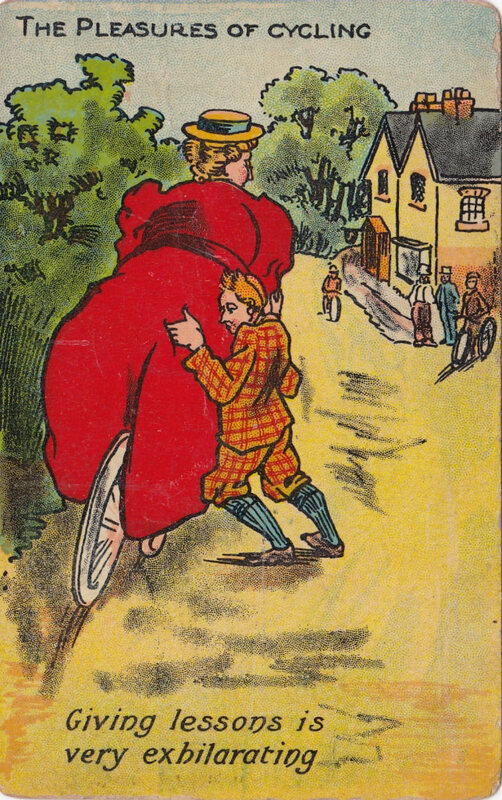 Possibly all by Donald McGill?